This is another recipe that will really tantalize your taste buds, so have your blender ready! Add water to your jug followed by fine green beans, celery, an 85g bag of rocket leaves, good chunk of fresh root ginger, an apple AND a whole raw beetroot. Blitz as you go along and give the whole lot a good old blitz at the end, adding more water if required. 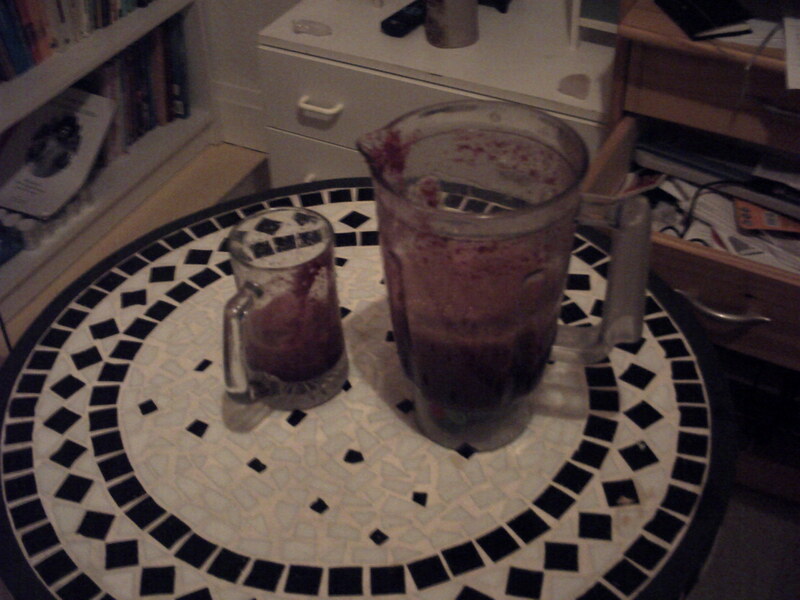 Now, be a real caveman; raise the jug to your lips and savour the feeling as your raw juice just rolls down your throat. Luverly!!!! Watch this space. There will be another post a little later with an announcement!